sailboat. : Five Things I Love Friday 024 featuring The Fairy Hob Mother! i love anything lemon ! 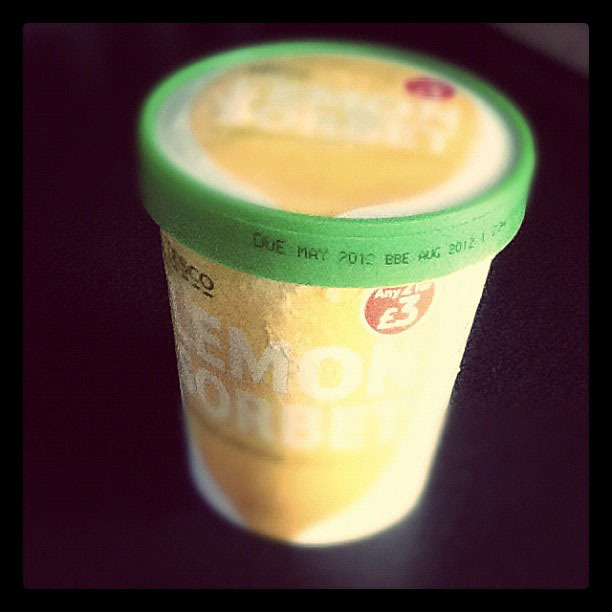 so im definatly going to be trying the lemon sorbet !!! Oh my Gosh!! I've just noticed you linked me. Wow Thank you very much! If I could have a wish, it would be to be able to go the cinema to see some new film releases, I adore going to the cinema but its just so expensive nowadays, its just out of my budget :(. I always love these posts. Your video is cute and you come across as lovely – not at all awkward. I don’t recognise these blogs either so need to check them out as I love discovering new blogs through recommendations. Such a cool idea about the fairy hob mother. Id definitely wish for more time, as I’m moving house in a week and really unorganised!! Failing that, maybe just some cool accessories to kit out my new room! Wow that is such a lovely idea by The Fair Hob Mother. Would love to know what you ended up spending it on? That lemon sorbet has made me rather hungry, it's too good. ahh, i've not been watching much x-factor this year even though Tulisa is one of my favourite famous ladies ever! I bet it has been good so far, it's hard to not get sucked in and watch it right to the end! I have been loving X Factor too - I actually get excited in the run up to it on a Saturday night, and I get disappointed when I know I'm going to miss it! I have always thought Tulisa was great and thought she'd be brilliant on X Factor - I love Kelly too, she seems like so much fun! That lemon sorbet sounds delish - I shall have to get a pot of that myself! The Fairy Hob Mother is such a lovely idea! I hadn't heard about it (him?) until I saw it on your blog. My Mum deserves some cheering up lately and though I treated her to afternoon tea last week I'd love to treat her to some books/DVDs to keep her company! that lemon sorbet sounds so good! so happy you're making youtube videos, i've subscribed! My wish would be for the bottle green Toms shoes I keep looking at! They are such a cool colour and the whole idea behind the company is pretty rad! How sweet is your video?! Bless you. My wish now that I have replaced my stolen bag would be for a voucher for a kindle. I have just broken my wrist and am having to do every thing one handed. (its driving me insane! I've been really poorly the last 6 weeks, and my boyfriend has been a complete star! Taking time off work to look after me, not moaning once about spending the last 6 weekends sat in my room, making me yummy dinners and giving me lots of get well cuddles. I'd love to be able to get him a little something to say thank you for being such a superstar. You're brave! I don't have the guts to post youtube videos yet, i'll just stick to my blog! I think If I could have a wish it would be to buy my mum something really special, or take her out shopping, she works so hard to look after me and my sister and she deserves to a good pampering! I love lemon sorbet too! Seriously craving it now! I'm gonna watch your video now too. That's a lovely gift off the Fairy Hobmother, I'd love to hear what you got your boyfriend? ooh i love lemon sorbet! i've never watched x factor. my wish would be for some new ebooks to fill up my kindle with! Oh my! Thank you so much for letting me be one of your top 5! My best friend is Louise (joyb) so I am so happy for both of us, thanks sweets! It's so fun to see you on video! Love your hair, just love it. My wish would be for some Liz Earle skincare products, because I really need to sort out my skin and have heard brilliant things about the line. I'm going to follow your youtube right this minute ^__^ I love finding new people to follow! I also thought X Factor would be rubbish this year but have been proved wrong-I think Tulisa is better than Cheryl ever was, and am so utterly in love with Gary! Even Louis is coming over well in this series. your youtube is great! and your very beautiful! not fair. i'd love a voucher of some sorts to motivate me to start saving for a camera, i started my blog fairly recently and i really love it, i just wish i had a better camera so i could improve my posts! also i'm off to new york next year so it would come in handy when im taking photo's of all the stunning scenery. my brothers just left for uni and i'm missing him alot, so it would certainly cheer me up a bit! Your youtube video was fab and so cute! I hope you make more! Congrats on the granted wish, the fairy hobmother is becoming quite the legend now! I am loving the x factor this year the uk one and the us one. Your youtube video is cute and you can across as a very nice person not awkward at all. ok i just posted a comment and said my wish would be for some help breaking my ipod opps i meant replacing. Loved your video, Jennie :) You're too cute! I've not had lemon sorbet in ages! aww i love the somewhat akwardness of your video - i much prefer the more informal youtubers. there is a fairy hob mother? how random! i like the idea though! I didn't find you awkward at all. You were refreshing and cute actually. More videos! 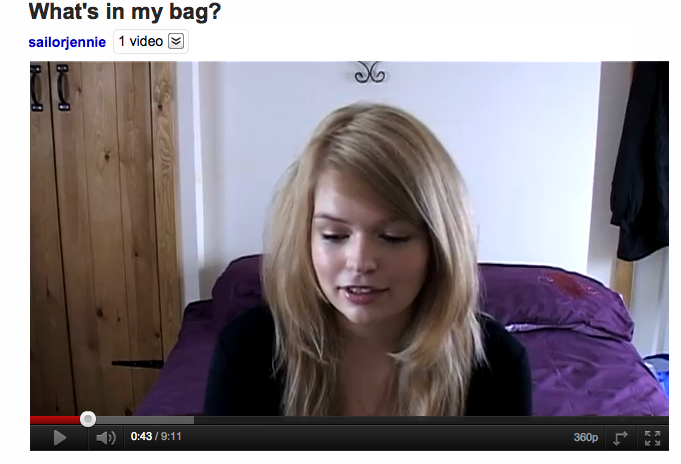 Aww you're on YouTube! Yay! I'm obsessed with makeup organisation at the moment too and the Glossyboxes are coming in super handy :) I'm totally with you on the X Factor - thought it'd be crap but I was pleasantly surprised and I also think its the best series yet :D Congrats on winning the Amazon voucher! I've not heard of the Fairy Hob Mother, what a lovely idea! My wish would be for The Wire boxset. My other half got made redundant a few months ago and is having trouble filling the hours sometimes, and O2 were supposed to send us a £50 gift card when I renewed my contract which we were going to use to buy it, but they're claiming it got lost in the post and won't replace it :( It would be nice to have something we could get stuck into together, since having no job can be quite glum sometimes! We saw the first few episodes on FX and loved it, but cancelled our Virgin subscription when he lost his job so didn't get to see the rest. Looking lovely as always btw lady! 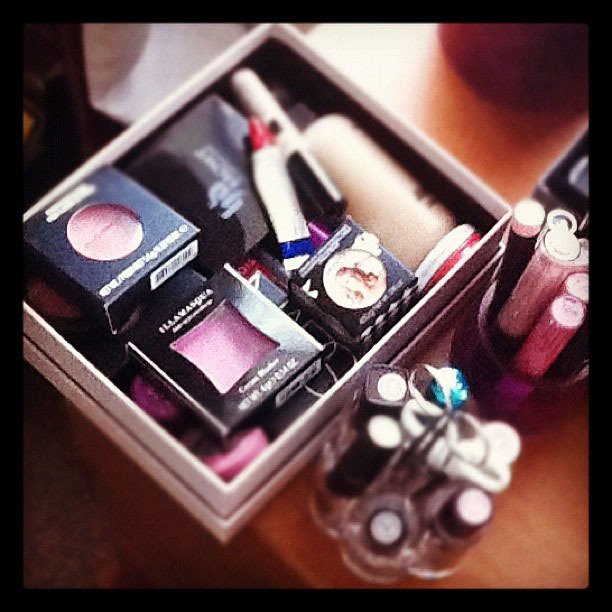 I love organising my make up (new obsession)! If I had a wish it would be to have a huge nail varnish and makeup spree! I've only just seen this! Thank you so much for mentioning me and Jess (Bambina) :) I notice she's already posted ha. Your youtube video was so sweet, I love the awkwardness, I'd be like that :') and mm, lemon sorbet. SO tempted to go and get some from the shop now! I loved your video, you are so much braver than I am!